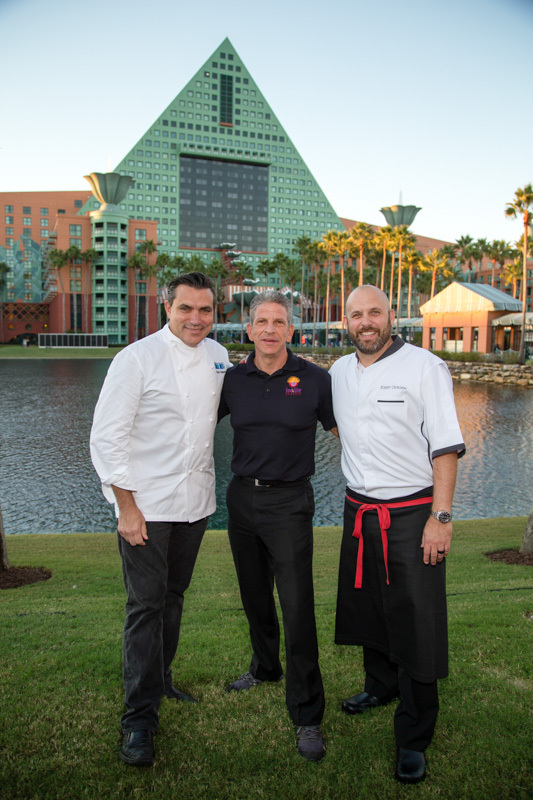 Walt Disney World’s Swan and Dolphin Executive Chef Robert J. Ciborowski graduated from the California Culinary Academy in San Francisco and began his career in Los Angeles before traveling for positions as far away as Japan, Hawaii and the Bahamas. 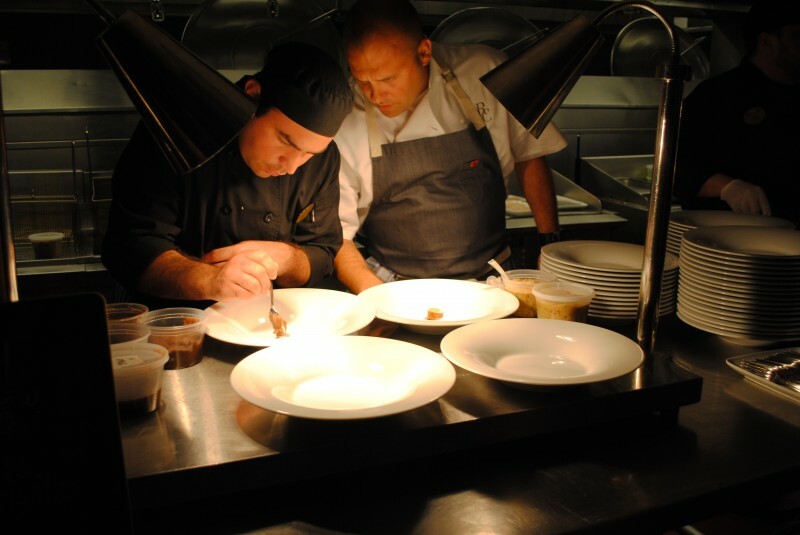 Before coming to the Swan and Dolphin, he most recently held executive chef positions at Mantra Restaurant in Palo Alto, Calif., and with the Kapalua Land Company in Maui, Hawaii. We interviewed him recently for our Orlando Chef’s Spotlight series to find out more about him and new happenings at the Swan and Dolphin. 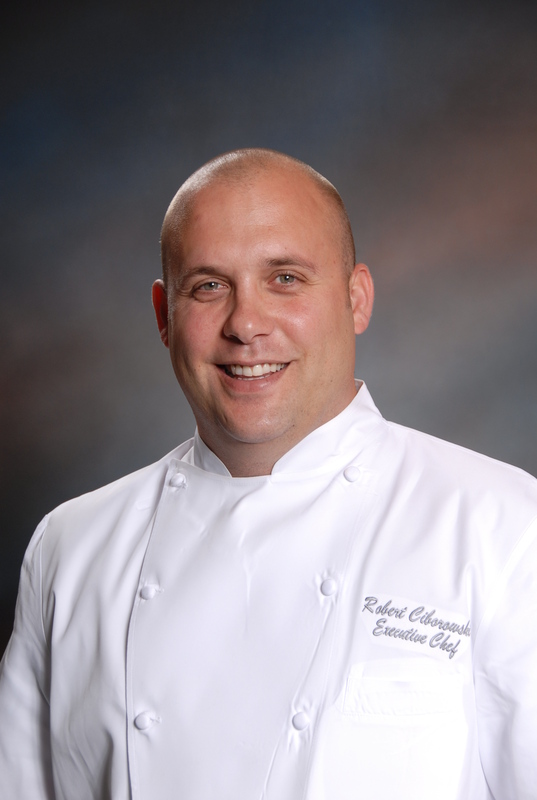 Chef Robert was born and raised in southern California alongside his two brothers and sister. His father was an officer in the Marine Corps, but his family was fortunate that he didn’t move have around a lot. What are some of your favorite dishes on the menus at the hotel? What are you planning for the coming fall and winter season? You shouldn’t be eating a tomato in the middle of winter. Yeah, you can get tomatoes from the southern hemisphere, but why fly them in when you can get something that’s locally grown? With any menu change, our goal is to use ingredients that are indigenous to that time of year and incorporate them into the scope of what we already do in the food and beverage department, from restaurants to banquets. 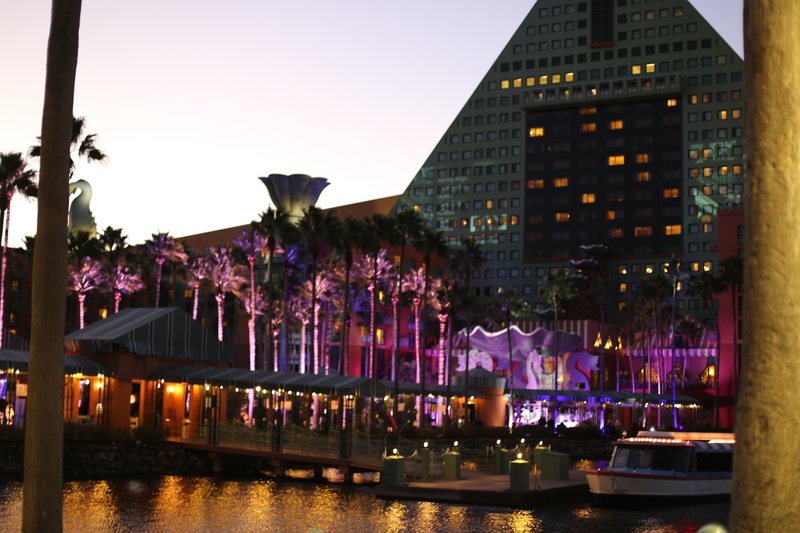 Where do you dine when not at the Swan and Dolphin? I love gourmet food, but I also enjoy authentic, rustic-style food. It’s more about what I want to eat, rather than where I eat. If I’m looking for a hotdog, then I try to go to a place that makes a really good hotdog. I am very particular – if I’m paying for food, then I want it to be good. My family and I go to Cask & Larder every year for Father’s Day and I also enjoy Hillstone for the view. Some of my other favorites include Prato, Luma and Ravenous Pig. What are some interesting facts about yourself that most people might not know? My family is very important to me –my brothers and sister, my parents, wife and son. I think you’re a better chef when you can balance your home life and professional life. If you don’t, then one of them will suffer. I’m a firm believer in making sure my team and the staff here is able to take some time away from work to become a better husband, wife, son, etc. One of my favorite places to live was Napa Valley. The Napa region has the ideal climate for growing vegetables and its proximity to the water makes it a great place to source local fish. As a kid and even now as a chef, I hate being dirty. I know it sounds weird, but I don’t like having dirty clothes. Growing up, what were some of your favorite childhood eats? Every time someone had a birthday, we were allowed to ask for our favorite meal. I always asked for homemade pizza. I also loved my mom’s beef stew.